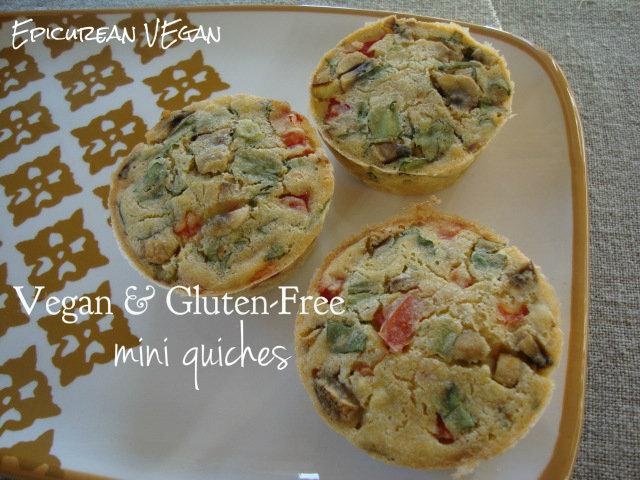 I’ve been wanting to figure out how to make vegan mini quiches for a while now, but I wasn’t sure where to start. Do I use tofu? Flour? Wave a magic wand? Well, when I came across this recipe, I knew my search was over. I only made one modification and that was to add the veggies to the batter instead of just topping the batter with them. Doing so, will give you about 4 more quiches (16 instead of 12) unless . . . you have a larger muffin tin like I do—you’ll just get 12 larger quiches. Otherwise, you could add your veggies just to the tops. I was thoroughly impressed with these. 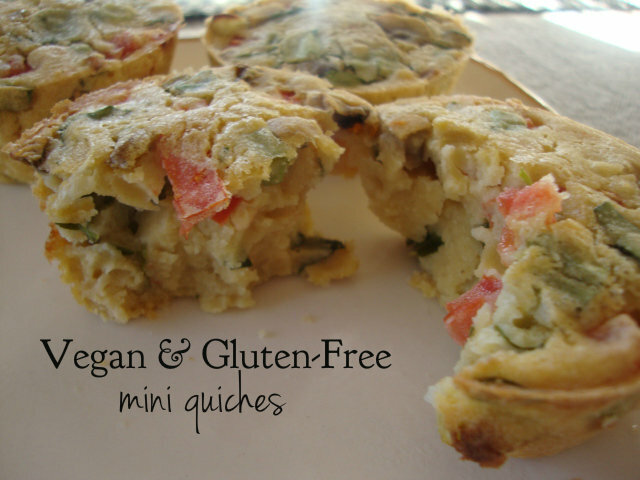 They taste like a cross between an actual egg-y quiche and a biscuit. They’re packed with protein and make a great quick breakfast on the go—just zap in the microwave for 20-30 seconds and you’re good to go. (These are especially ideal for a post-workout snack.) 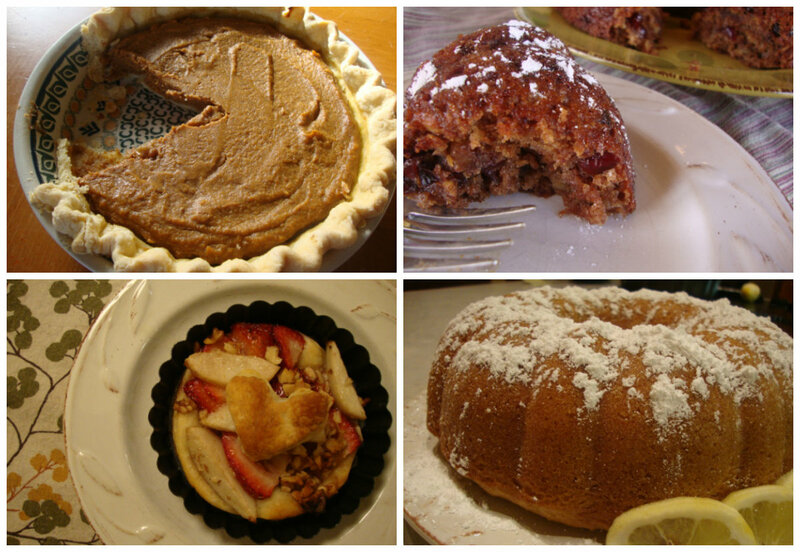 Also, think about making these in tart pans, ramekins, or other small dishes for various presentations. Note: I used sun-dried tomatoes (packed in oil) in a batch and I recommend easing up on the oil in the batter by at least a tablespoon. Also, throw in some chia seeds. Pepitas or sunflower seeds would also be great additions. I also sometimes add some seasonings or herbs such as thyme, basil, or garlic powder for some extra flavor. Preheat oven to 500 and lightly spray the muffin tins. 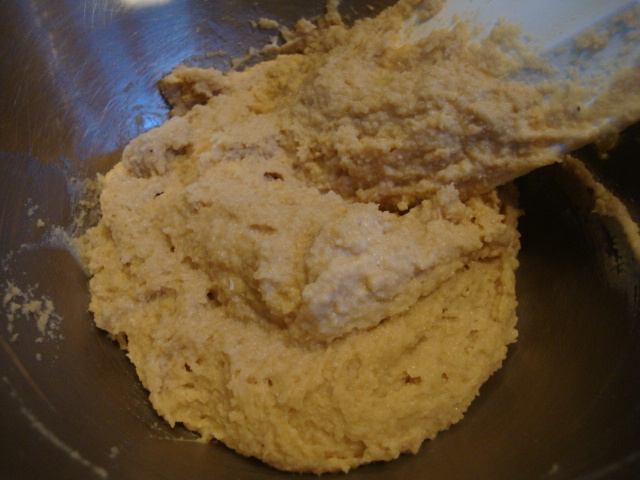 In a large bowl, whisk together the flour, water, oil, and salt. Be sure to whisk until all the lumps are gone and you have a smooth batter. 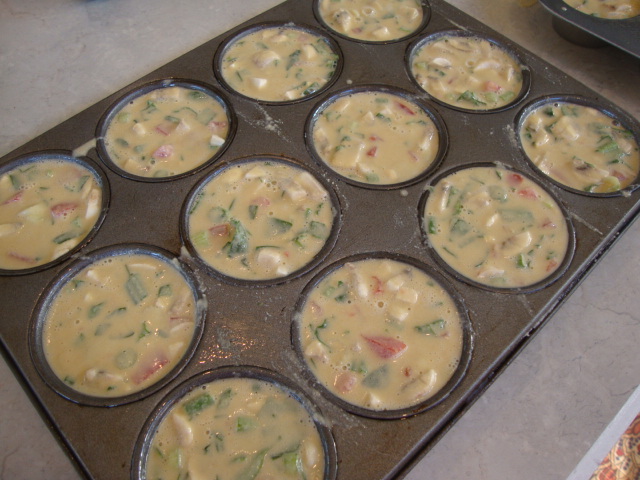 You can then pour the batter evenly among 12 muffin cups and just add your veggies to the top, OR (as I would recommend) add the veggies to the batter. Fill the muffin tins . . . Bake for 14 minutes, then crack the oven door slightly, and cook another 11 minutes. Let cool 5 minutes or so, and remove with a knife. Enjoy! Veggies/toppings: Use your favorites, but I like to use 1-1/2 to 2 cups of chopped . . . spinach, tomato, mushrooms, green onion, cilantro. Preheat oven to 500 and lightly spray the muffin tins. In a large bowl, whisk together the flour, water, oil, and salt. Be sure to whisk until all the lumps are gone and you have a smooth batter. You can then pour the batter evenly among 12 muffin cups and just add your veggies to the top, OR (as I would recommend) add the veggies to the batter. Bake for 14 minutes, then crack the oven door slightly, and cook another 11 minutes. Let cool 5 minutes or so, and remove with a knife. Enjoy! This is part lasagna, part eggplant “Parmesan.” I originally set out to make the latter, but I didn’t want to use packaged vegan cheese. Homemade cashew cheese has become a favorite around here, especially with Italian food, so I decided to give it a try with this. 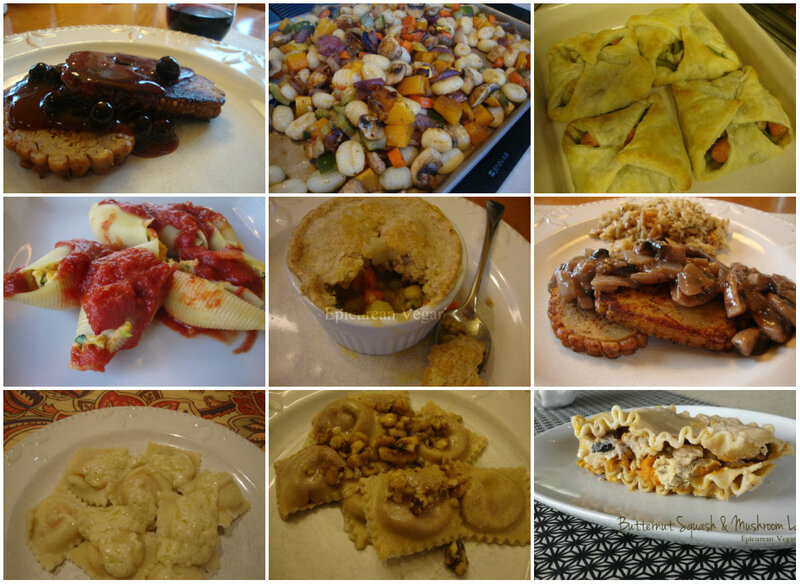 The recipe for the cheese is the same from the Butternut Stuffed Shells and I think it turned out delicious! I didn’t soak the cashews very long—maybe just an hour—and it still turned out creamy and smooth. 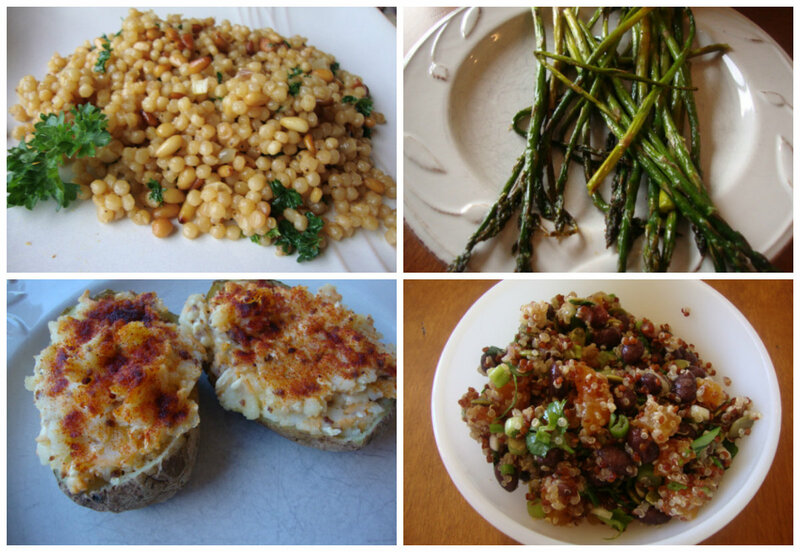 This makes about 6 good-sized portions; great for a larger group, or for having leftovers. To make the cashew cheese, combine all of the ingredients in a food processor and blend until smooth. If you want it thinner, feel free to add more almond milk and/or lemon juice. Set aside. Preheat oven to 350. In a medium saucepan, heat the olive oil and add the garlic over medium heat. Cook for 2-3 minutes, then add the onion and saute for 7-8 minutes, or until the onions begin to soften and brown. Add the tomatoes, wine, basil, and oregano, stir to combine, and lower heat. Simmer for 15-20 minutes. While the sauce is cooking, combine the egg-replacer powder with the almond milk and water in a shallow bowl. Do the same with the Italian seasoning and panko, and add the flour to a small bowl. 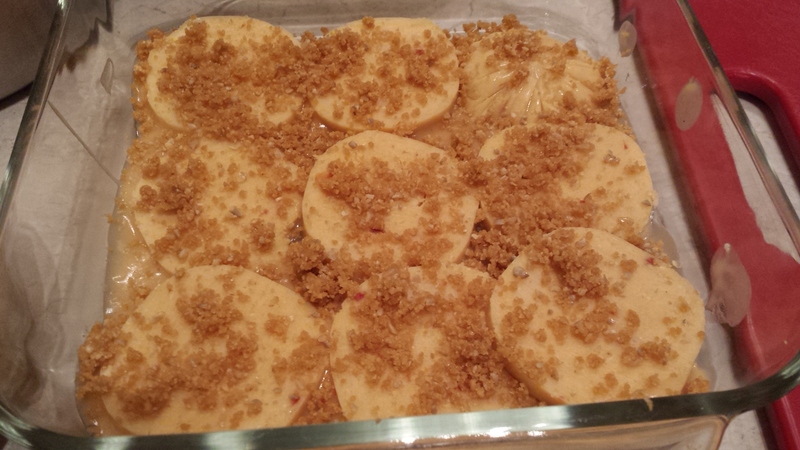 Dust the entire eggplant slice with flour, cover with a thin layer of egg-replacer, then coat with the panko. Eventually, you might have to add a little more water to the egg-replacer dish in order to cover all 9 slices. In batches, place the eggplant slices in a skillet with enough oil to fry—about 2 minutes each side. Try to avoid flipping the pieces more than once, otherwise, you’ll end up with lots of fried chunks of breading in the skillet. Place finished slices on a plate lined with paper towels. Repeat process until all 9 slices are done. 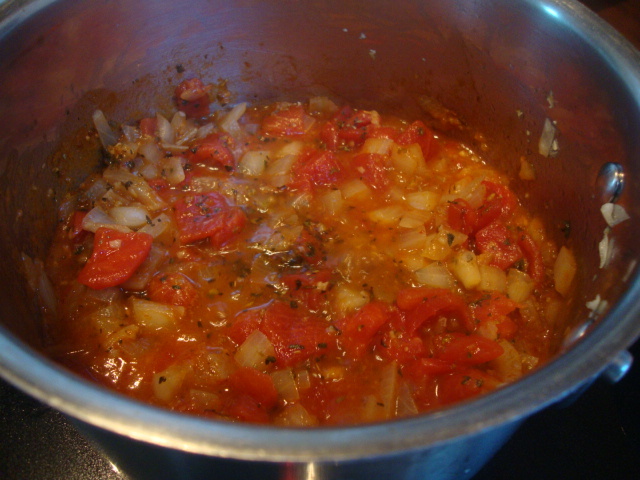 Next, coat the bottom of an 8×8″ baking dish with a ladle of the tomato sauce. Place 3 slices of the eggplant on the bottom and spread each slice with cashew cheese. Top with sauce, then repeat process. Cover with foil and bake for 30 minutes. Cut into 6 pieces and enjoy! This is part lasagna, part eggplant "Parmesan." 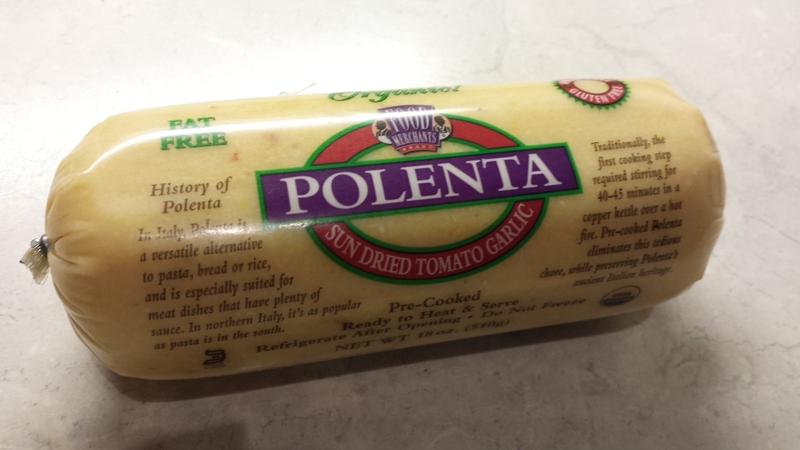 I originally set out to make the latter, but I didn't want to use packaged vegan cheese. Homemade cashew cheese has become a favorite around here, especially with Italian food, so I decided to give it a try with this. 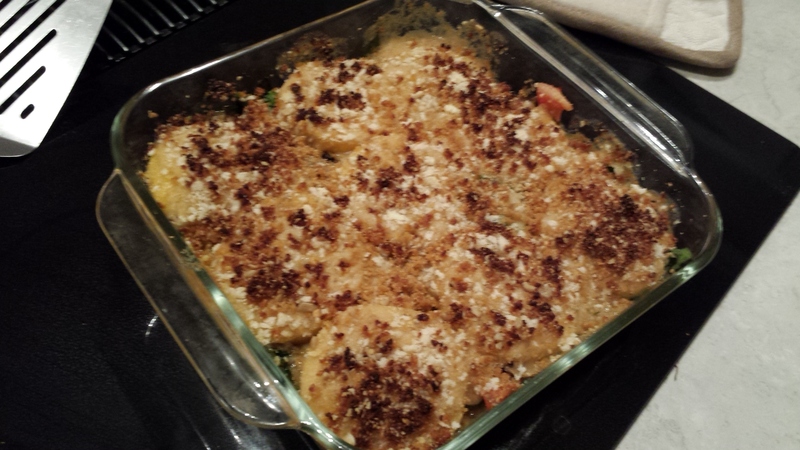 The recipe for the cheese is the same from the Butternut Stuffed Shells and I think it turned out delicious! I didn't soak the cashews very long---maybe just an hour---and it still turned out creamy and smooth. This makes about 6 good-sized portions; great for a larger group, or for having leftovers. In a medium saucepan, heat the olive oil and add the garlic over medium heat. Cook for 2-3 minutes, then add the onion and saute for 7-8 minutes, or until the onions begin to soften and brown. Add the tomatoes, wine, basil, and oregano, stir to combine, and lower heat. Simmer for 15-20 minutes. Dust the entire eggplant slice with flour, cover with a thin layer of egg-replacer, then coat with the panko. Eventually, you might have to add a little more water to the egg-replacer dish in order to cover all 9 slices. In batches, place the eggplant slices in a skillet with enough oil to fry---about 2 minutes each side. Try to avoid flipping the pieces more than once, otherwise, you'll end up with lots of fried chunks of breading in the skillet. Place finished slices on a plate lined with paper towels. Repeat process until all 9 slices are done. Next, coat the bottom of an 8x8" baking dish with a ladle of the tomato sauce. 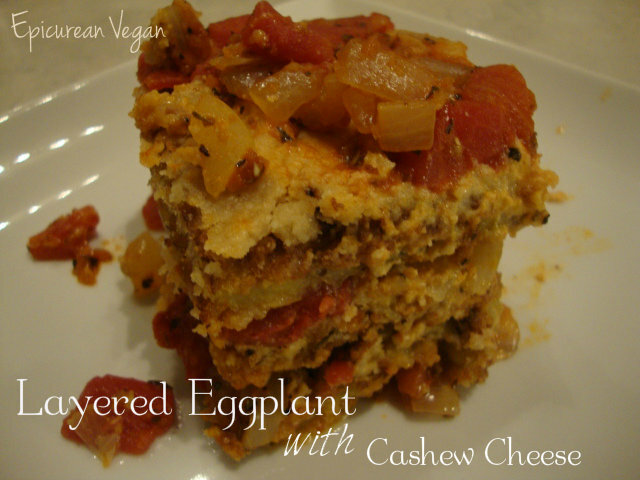 Place 3 slices of the eggplant on the bottom and spread each slice with cashew cheese. Top with sauce, then repeat process. 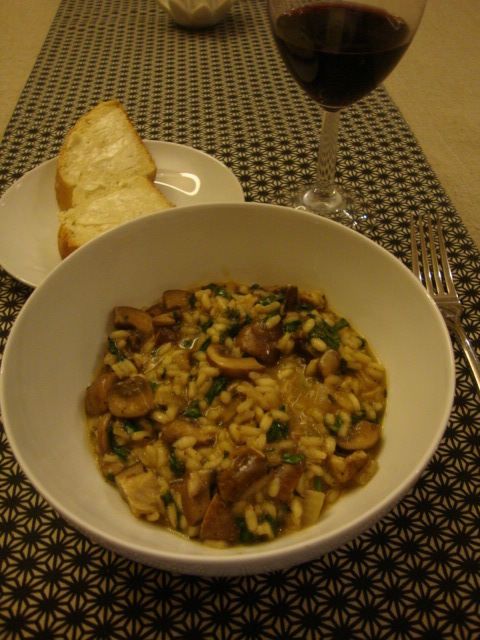 For mushroom lovers like us, this soup certainly made us very happy. Some friends had brought it to a get together and we all demanded the recipe. It is from The Vegetarian Slow Cooker. This soup requires just a tad of prep work, but then it all goes into the slow cooker. Not only is this soup savory and full of flavor, but the mushrooms are packed full of immune boosters—perfect for fighting off the winter chills and colds. 8-oz cremini mushrooms, stems removed and quartered (Again, I’d add more)! 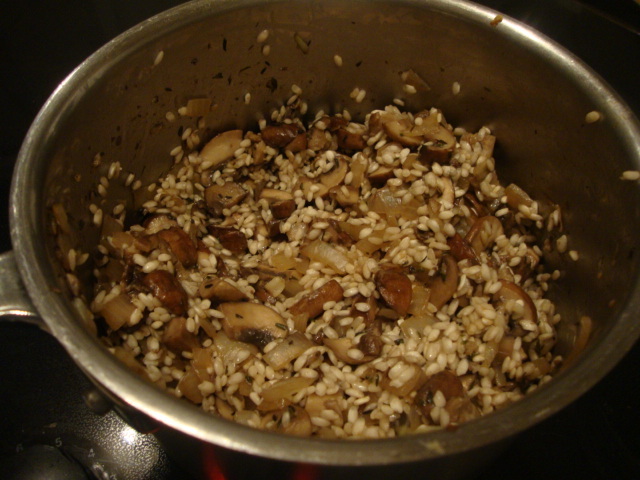 In a small bowl, combine the dried porcini mushrooms and the hot water. Let sit for 30 minutes. Using a fine mesh strainer, drain the mushrooms, reserving the liquid. Finely chop up the porcinis and set aside. In a large skillet heat the olive oil over medium heat. Add the leeks, carrot and celery for about 7 to 8 minutes. Add the garlic, salt, peppercorns, bay leaf, and porchinis. Cook for a minute, then add the reserved liquid. 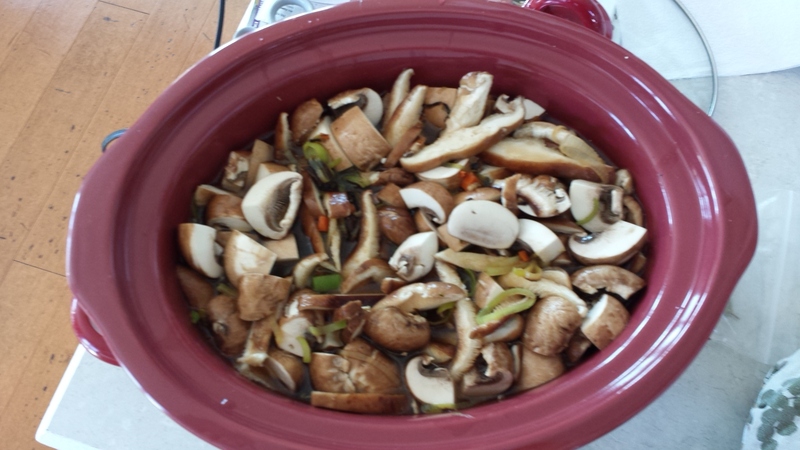 Transfer to a slow cooker and add the shiitake and cremini mushrooms, along with the broth and water. Cover and cook on high for 3 hours OR on low for 6 hours. Stir in the miso and cook on high for 15 minutes. Discard bay leaf and ladle into separate bowls; garnish with chives. Enjoy! 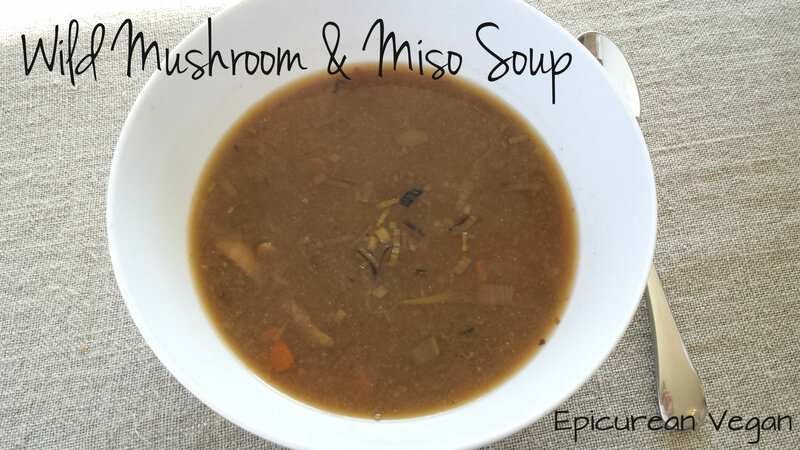 For mushroom lovers like us, this soup certainly made us very happy. Some friends had brought it to a get together and we all demanded the recipe. It is from The Vegetarian Slow Cooker. 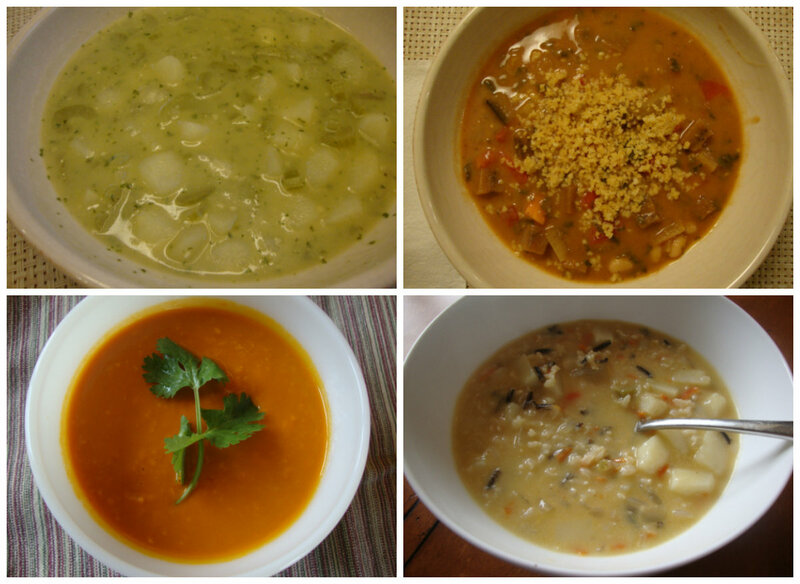 This soup requires just a tad of prep work, but then it all goes into the slow cooker. Not only is this soup savory and full of flavor, but the mushrooms are packed full of immune boosters---perfect for fighting off the winter chills and colds. 8-oz cremini mushrooms, stems removed and quartered (Again, I'd add more)! 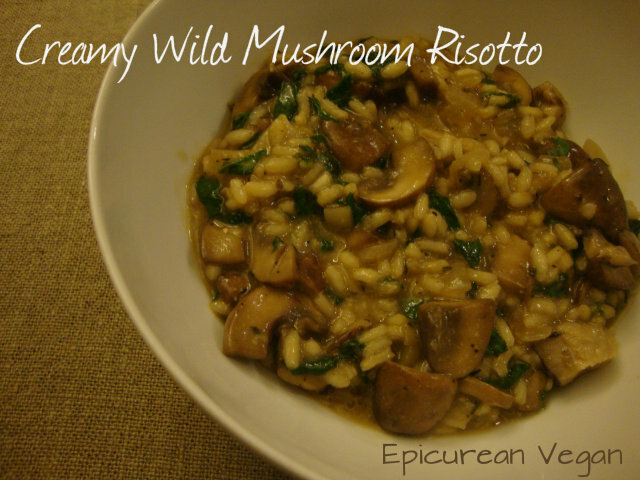 In a small bowl, combine the dried porcini mushrooms and the hot water. Let sit for 30 minutes. Using a fine mesh strainer, drain the mushrooms, reserving the liquid. Finely chop up the porcinis and set aside. In a large skillet heat the olive oil over medium heat. Add the leeks, carrot and celery for about 7 to 8 minutes. Add the garlic, salt, peppercorns, bay leaf, and porchinis. Cook for a minute, then add the reserved liquid. Stir in the miso and cook on high for 15 minutes. Discard bay leaf and ladle into separate bowls; garnish with chives. Enjoy! 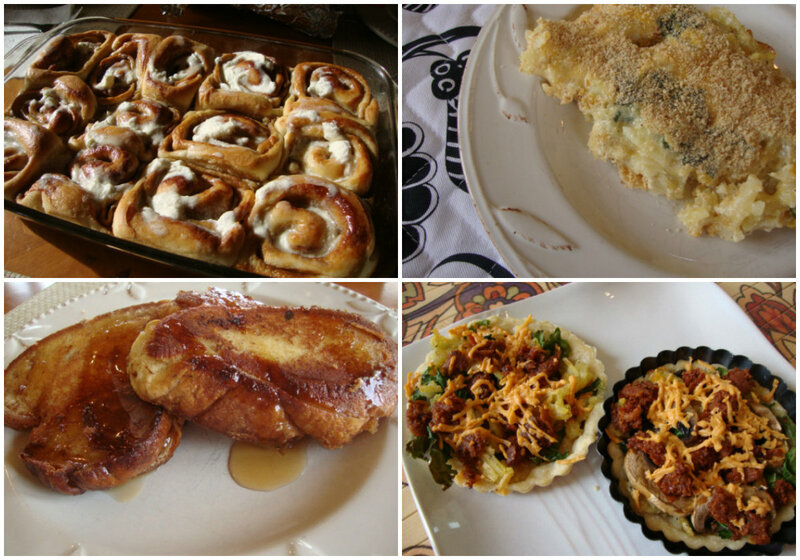 In case you’re still wondering what to make for Thanksgiving, here’s a few ideas. Whatever you decide, I hope you have a wonderful holiday filled with friends, family, and gratitude. “This is going to be deee-vine for tomorrow’s lunch,” father said as he placed the leftovers in a container. “Wait, who said you get them all?” his son said, grabbing hold of the dish. “You will lose an arm, son,” father said firmly. A wresting match in the kitchen ensued. I don’t know who the victor was; I walked away, but I’m pretty sure I’ll be eating the leftovers for breakfast. Yes, it was that good. Preheat oven to 375. To make the Parmezano Sprinkles (which I recommend making ahead of time) combine all of the ingredients in a food processor and process until you have little crumbles . . . then refrigerate. 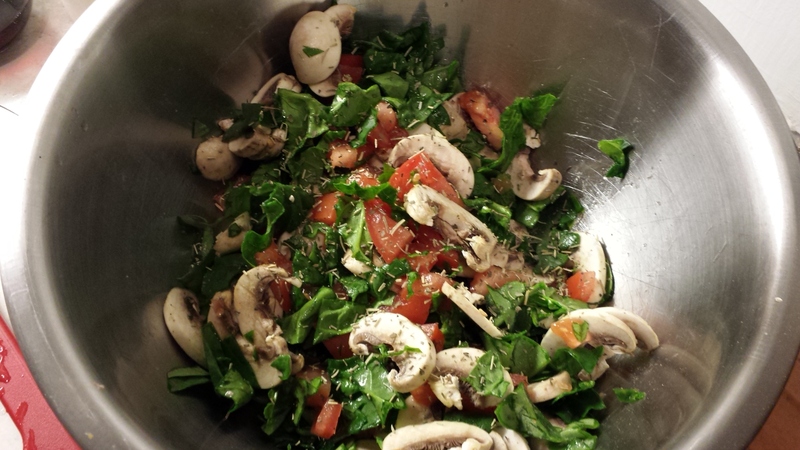 Combine the chopped spinach, tomatoes and sliced mushrooms in a bowl along with the basil, rosemary, salt, and pepper. To prepare the sauce, melt the Earth Balance and add the garlic. Saute about 2 minutes. Add the flour and whisk until smooth. Next, add vegetable broth a little at time, whisking constantly until everything is incorporated over medium heat. The sauce should begin to thicken. Slowly add in the almond milk, an 1/8 C at a time and whisk thoroughly. Season with salt and pepper. Add a ladle of sauce to the bottom of an 8″ baking dish—just enough to coat the bottom. 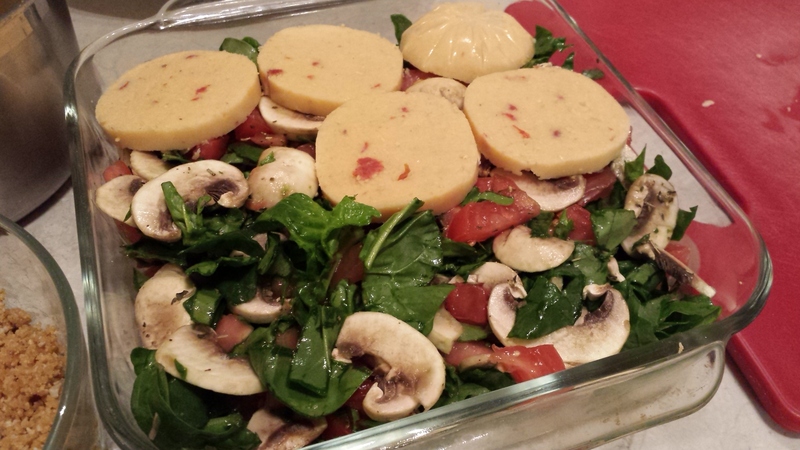 Place 9 slices of the polenta on the bottom and sprinkle with about 1/4 C of the Parmezano Sprinkles. Next, layer on the spinach mixture—pack it down if you have to, but get it all on there. Top with the remaining 9 slices of polenta . . .
. . . then remaining sauce, the bread crumbs, and another 1/4 C of the Parmezano Sprinkles. Bake for 20-25 minutes. Let it sit for about 5-6 minutes before digging in. Enjoy! To make the Parmezano Sprinkles (which I recommend making ahead of time) combine all of the ingredients in a food processor and process until you have little crumbles . . . then refrigerate. To prepare the sauce, melt the Earth Balance and add the garlic. Saute about 2 minutes. Add the flour and whisk until smooth. Next, add vegetable broth a little at time, whisking constantly until everything is incorporated over medium heat. The sauce should begin to thicken. Slowly add in the almond milk, an ⅛ C at a time and whisk thoroughly. Season with salt and pepper. Add a ladle of sauce to the bottom of an 8" baking dish---just enough to coat the bottom. 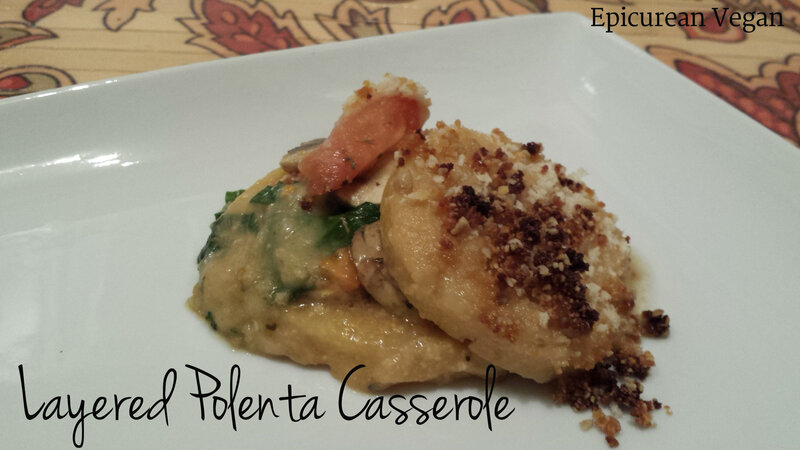 Place 9 slices of the polenta on the bottom and sprinkle with about ¼ C of the Parmezano Sprinkles. Next, layer on the spinach mixture---pack it down if you have to, but get it all on there. 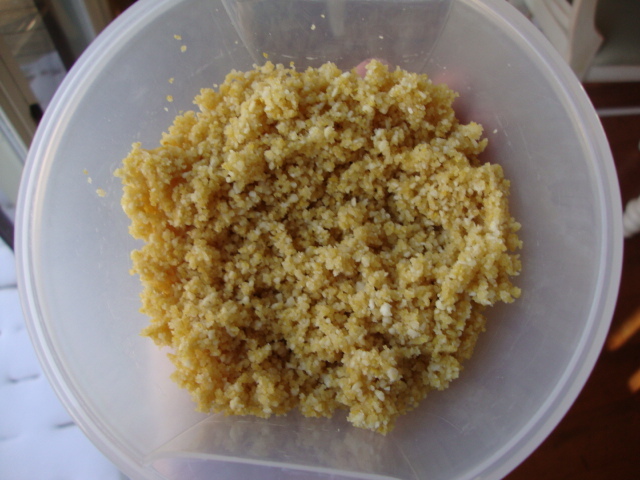 Top with the remaining 9 slices of polenta, then remaining sauce, the bread crumbs, and another ¼ C of the Parmezano Sprinkles. Let it sit for about 5-6 minutes before digging in. Enjoy! 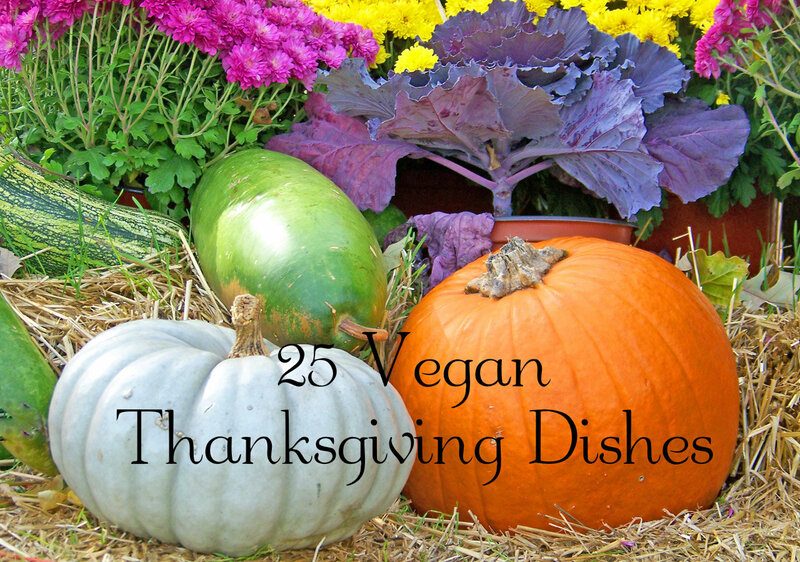 Looking for Thanksgiving meal ideas? You’ve come to the right place! This lasagna, is downright amazing—your guests will be demanding the recipe. A similar dish that would also be great for Stuffed Bird Carcass on the Table Day, would be these Butternut Squash Stuffed Shells with Cashew Cheese. So this dish is definitely less complicated than you might think. I recommend preparing the squash and tofu ricotta ahead of time and keeping them in the fridge until ready to use. Because I didn’t saute the mushrooms, the only things I had to do come suppah-time, was boil the noodles and make the white sauce—both no-brainers . . . I promise. Speaking of noodles, I prefer to use the old fashioned kind simply because the no-boil ones are too short and I have found that they don’t always get cooked completely. Should your noodle preference differ from mine, that’s quite all right . . . you get to make those executive decisions in your own kitchen 🙂 I just like that I can cut the cooked noodles to fit my pan. Either way, this won’t disappoint! Preheat oven to 425. To prepare the squash, I recommend peeling the squash and dicing it up. I have found that if you’re going to just puree it anyway, this is the fastest way to roast a butternut squash. As long as you have a decent potato peeler, this step will be a breeze. Toss in a bowl with a little olive oil and some salt and pepper. 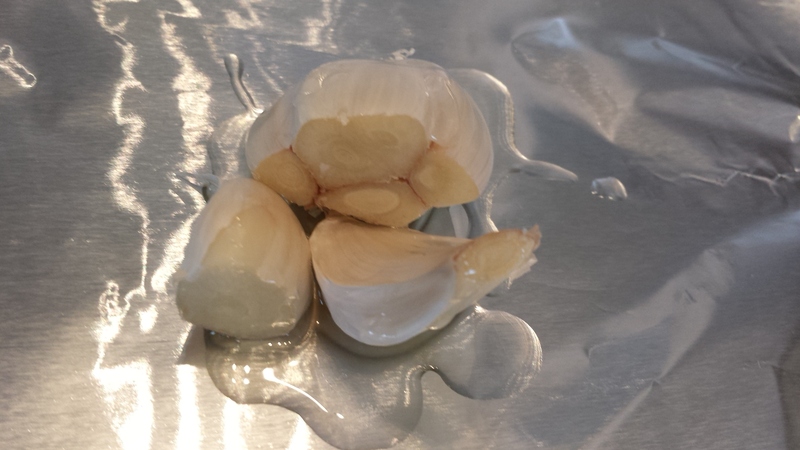 I decided I might as well roast some garlic too, so I took about 6 cloves, cut the tops off (leaving them in the skins), placed them on some foil, drizzled some olive oil on them, then loosely wrapped them up. 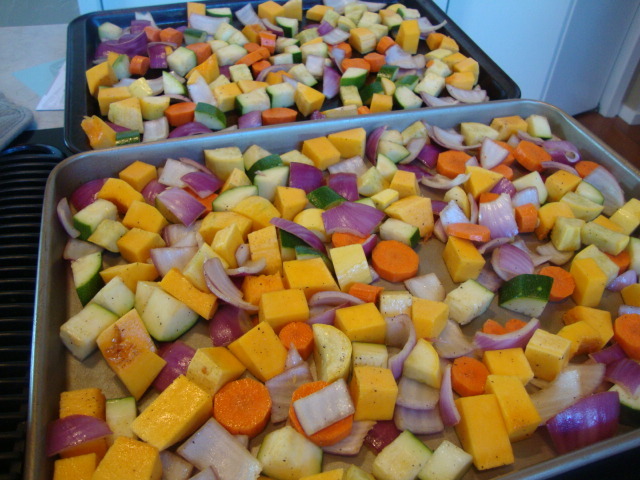 Spread the diced squash on a large baking sheet (along with the garlic) and roast for 30 minutes. Next, transfer the squash and the garlic cloves (which should slip right out of the skins) into a food processor. Add about an 1/8 C of almond milk and puree. It’s up to you how smooth you want to puree the squash, but I recommend not having too many big chunks remaining. To prepare the ricotta, throw all of the ingredients in a food processor, except the cheese, and puree until smooth. Transfer to a bowl, and if using the cheese, stir it in. Slice up the mushrooms. I had just about 4 cups of sliced shiitakes and since we’re obsessed with mushrooms, I decided that wasn’t enough, so I added some white button mushrooms . . . perfect. Preheat oven to 375. To begin, I suggest starting the sauce about 5 minutes before you start the water for the noodles. In a medium saucepan, melt the Earth Balance, then whisk in the flour until fully incorporated and you have a thick paste. Add a little broth, then whisk until smooth. Do this until you’ve added all the broth. Whisk it constantly over medium heat until it begins to thicken. Slowly, and bit by bit, add the almond milk, whisking continuously until it thickens. Reduce heat and season with nutmeg, salt, and pepper. Keep an eye on it and don’t let it burn. Hopefully by now, the noodles are about ready. Don’t over-boil them—they’ll cook more once in the oven. Otherwise, they’ll rip while assembling the lasagna. Rinse thoroughly with cold water to keep them from sticking to each other. Ladle some sauce on the bottom of the pan—not a lot; just enough to coat the bottom. 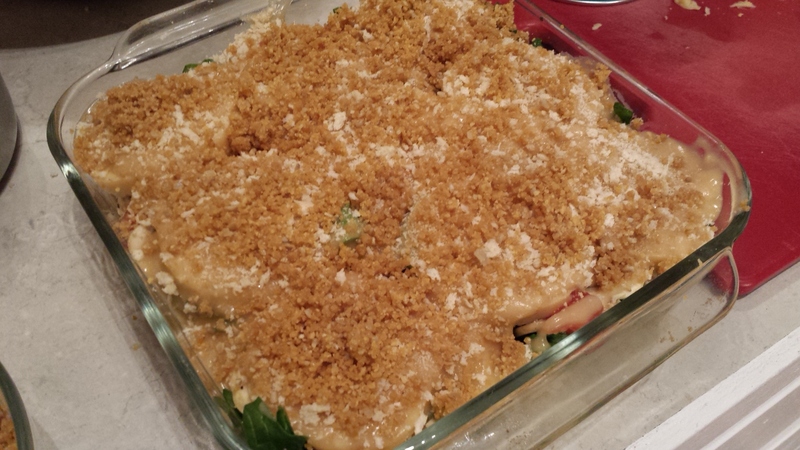 I used a 9×13″ baking dish, so I placed 5 noodles vertically in the dish and cut a couple of inches off one end. 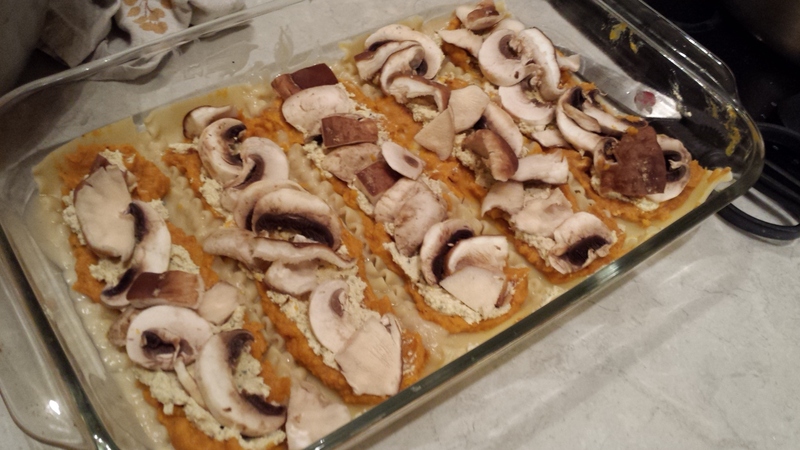 Spread half of the squash mixture on the lasagna noodles. Then spread a couple of tablespoons of the tofu ricotta on each noodle. (I didn’t use all of the ricotta–I had about a full cup leftover). Next. layer on half of the mushrooms. Repeat process with another 5 noodles, the rest of the squash mixture, more ricotta, and the remaining mushrooms. Top with the last 5 noodles and pour sauce on top. (I added a little more almond milk to the sauce because it had gotten a bit thick). Cover with foil and bake for 35-40 minutes. Let it sit for 5-10 minutes, then enjoy! 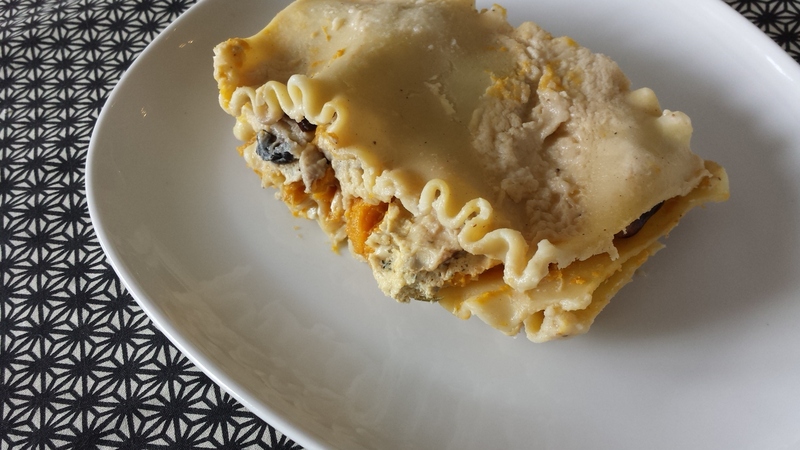 This lasagna, is downright amazing---your guests will be demanding the recipe. 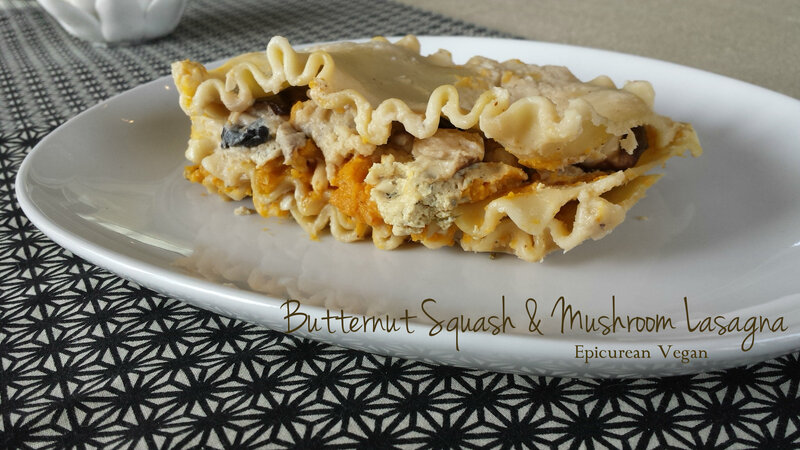 A similar dish that would also be great for Stuffed Bird Carcass on the Table Day, would be these Butternut Squash Stuffed Shells with Cashew Cheese. So this dish is definitely less complicated than you might think. I recommend preparing the squash and tofu ricotta ahead of time and keeping them in the fridge until ready to use. Because I didn't saute the mushrooms, the only things I had to do come suppah-time, was boil the noodles and make the white sauce---both no-brainers . . . I promise. Speaking of noodles, I prefer to use the old fashioned kind simply because the no-boil ones are too short and I have found that they don't always get cooked completely. Should your noodle preference differ from mine, that's quite all right . . . you get to make those executive decisions in your own kitchen 🙂 I just like that I can cut the cooked noodles to fit my pan. Either way, this won't disappoint! To prepare the squash, I recommend peeling the squash and dicing it up. I have found that if you're going to just puree it anyway, this is the fastest way to roast a butternut squash. As long as you have a decent potato peeler, this step will be a breeze. Next, transfer the squash and the garlic cloves (which should slip right out of the skins) into a food processor. Add about an ⅛ C of almond milk and puree. 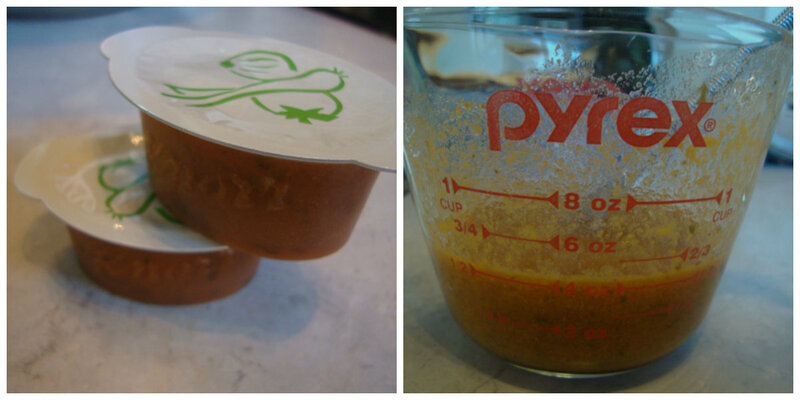 It's up to you how smooth you want to puree the squash, but I recommend not having too many big chunks remaining. To prepare the ricotta, throw all of the ingredients in a food processor, except the cheese, and puree until smooth. Transfer to a bowl, and if using the cheese, stir it in. Slice up the mushrooms. I had just about 4 cups of sliced shiitakes and since we're obsessed with mushrooms, I decided that wasn't enough, so I added some white button mushrooms . . . perfect. To begin, I suggest starting the sauce about 5 minutes before you start the water for the noodles. In a medium saucepan, melt the Earth Balance, then whisk in the flour until fully incorporated and you have a thick paste. Add a little broth, then whisk until smooth. Do this until you've added all the broth. Whisk it constantly over medium heat until it begins to thicken. Slowly, and bit by bit, add the almond milk, whisking continuously until it thickens. Reduce heat and season with nutmeg, salt, and pepper. Keep an eye on it and don't let it burn. Hopefully by now, the noodles are about ready. Don't over-boil them---they'll cook more once in the oven. Otherwise, they'll rip while assembling the lasagna. Rinse thoroughly with cold water to keep them from sticking to each other. Ladle some sauce on the bottom of the pan---not a lot; just enough to coat the bottom. I used a 9x13" baking dish, so I placed 5 noodles vertically in the dish and cut a couple of inches off one end. Spread half of the squash mixture on the lasagna noodles. Then spread a couple of tablespoons of the tofu ricotta on each noodle. (I didn't use all of the ricotta--I had about a full cup leftover). Next. layer on half of the mushrooms. Repeat process with another 5 noodles, the rest of the squash mixture, more ricotta, and the remaining mushrooms. Top with the last 5 noodles and pour sauce on top. (I added a little more almond milk to the sauce because it had gotten a bit thick). Let it sit for 5-10 minutes, then enjoy! Sorry it’s been so long since my last post; been a busy bee, I guess. 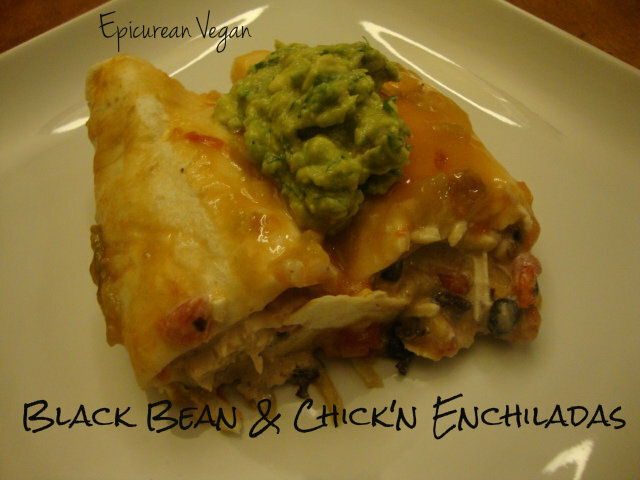 Sometimes, it just feels like a faux meat night and I was craving these enchiladas. They’re a breeze to prepare, but taste like you slaved away in the kitchen. This would also be a good meal to entice those meat-eating friends of yours to come to the table and give veganism a chance. Preheat oven to 375. 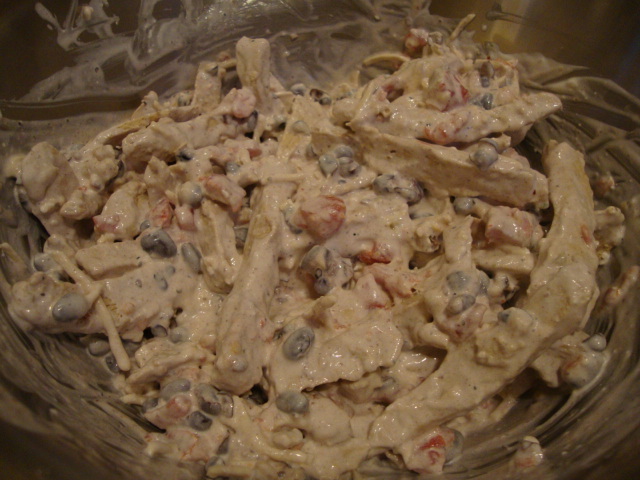 In a large bowl whisk together the sour cream, cream cheese, vegan pepper jack (if using) and milk. Stir in the Rotel, black beans and chick’n strips. Scoop the chick’n mixture evenly into 6-7 flour tortillas and place into a 9×13 baking dish. 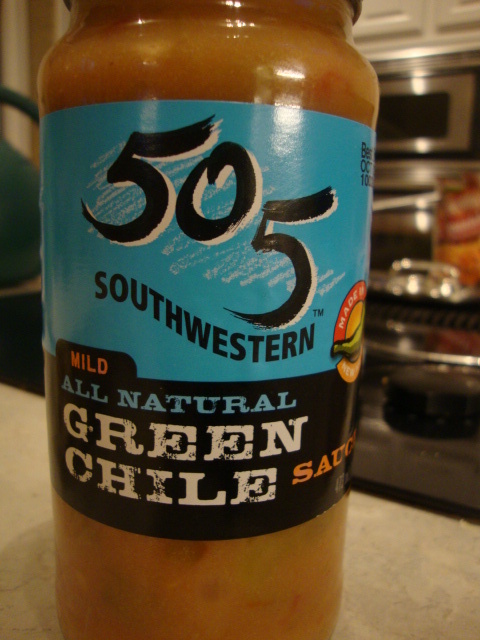 Cover with the green chili sauce. Cover with foil and bake for 35-40 minutes. (Make sure the foil isn’t touching the tortillas too much, because it will stick to them). Enjoy with some guacamole and salsa! 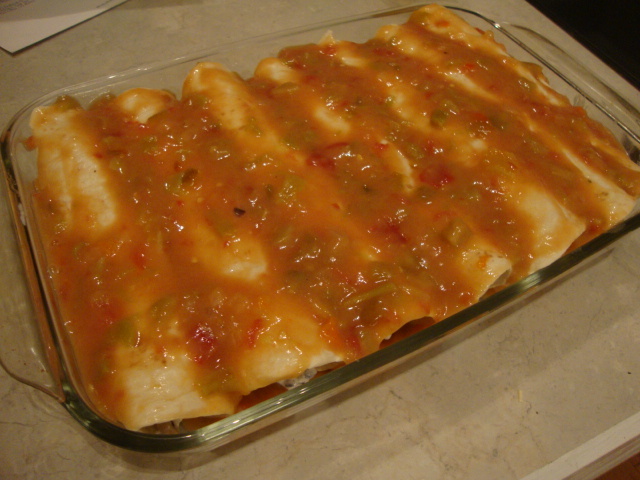 Sometimes, it just feels like a faux meat night and I was craving these enchiladas. They're a breeze to prepare, but taste like you slaved away in the kitchen. This would also be a good meal to entice those meat-eating friends of yours to come to the table and give veganism a chance. 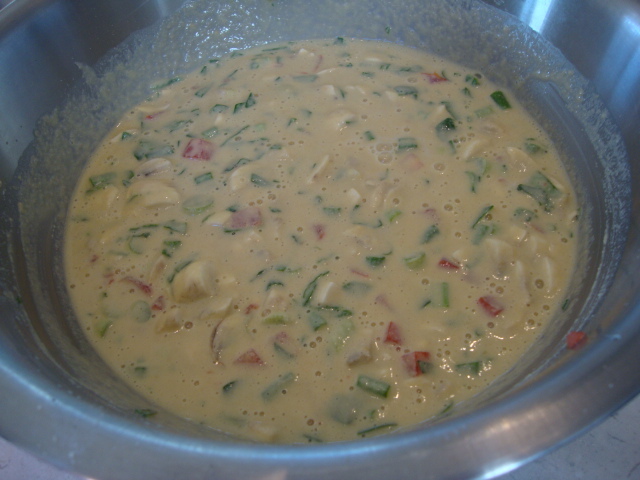 In a large bowl whisk together the sour cream, cream cheese, vegan pepper jack (if using) and milk. Stir in the Rotel, black beans and chick'n strips. Scoop the chick'n mixture evenly into 6-7 flour tortillas and place into a 9x13 baking dish. Cover with the green chili sauce. Cover with foil and bake for 35-40 minutes. (Make sure the foil isn't touching the tortillas too much, because it will stick to them). Enjoy with some guacamole and salsa! 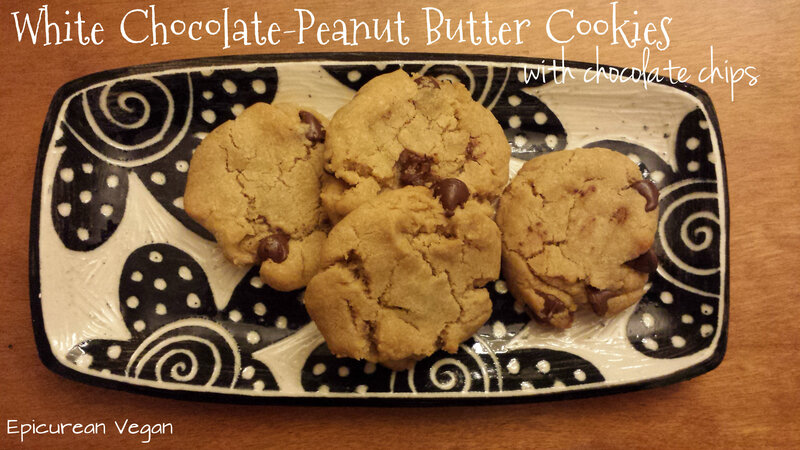 Well, this takes peanut butter cookies to a whole new level . . . and the chocolate chips?! Forgetaboutit . . .
Preheat oven to 350. Using a mixer, combine the Earth Balance, peanut butter, and sugar. Once blended, add the egg-replacer, oil and extracts; mix well. In a small bowl, combine the flour, salt and baking soda. 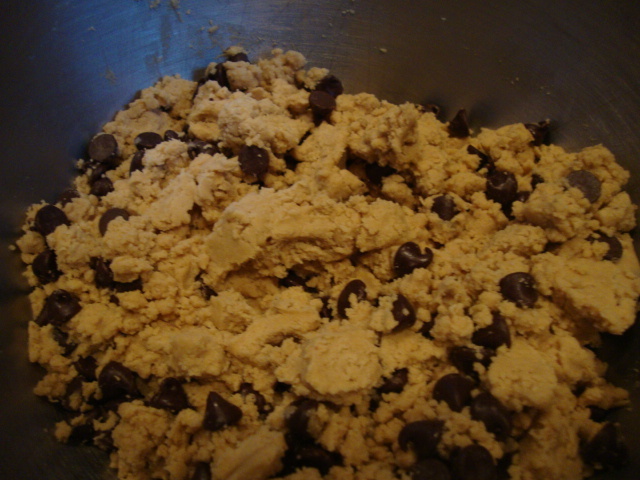 While the mixer is running, add the dry ingredients a little at time. Incorporate all of the ingredients thoroughly. Next, stir in the chocolate chips using a spoon or spatula. Take small handfuls of dough and roll into a ball—as best you can; it’s not easy with the chocolate chips, then squish them down a little on the baking sheet. Using a mixer, combine the Earth Balance, peanut butter, and sugar. Once blended, add the egg-replacer, oil and extracts; mix well. In a small bowl, combine the flour, salt and baking soda. While the mixer is running, add the dry ingredients a little at time. Incorporate all of the ingredients thoroughly. Next, stir in the chocolate chips using a spoon or spatula. 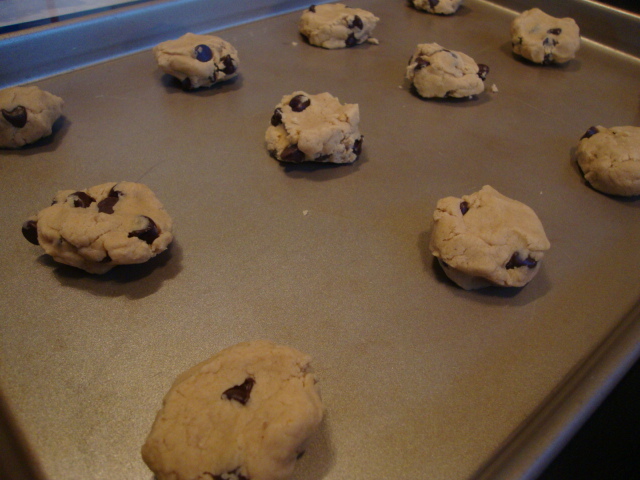 Take small handfuls of dough and roll into a ball---as best you can; it's not easy with the chocolate chips, then squish them down a little on the baking sheet. My mom made this dish for me a few weeks ago and I’ve been anxious to make it for the family. It’s so easy to prepare. 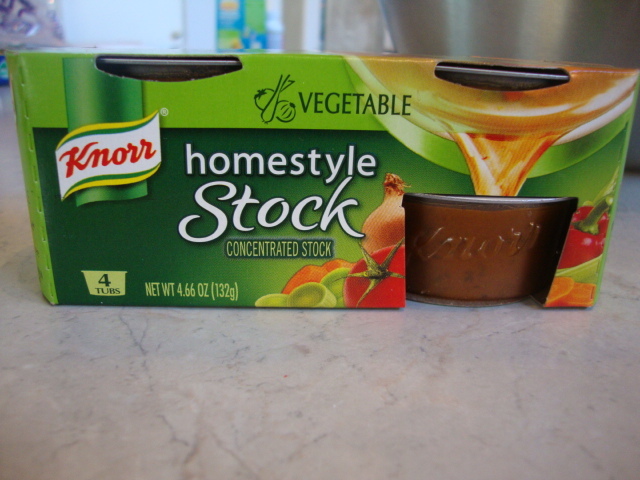 The only difficult part was actually finding this fancy little product . .
My mom had used Knorr’s Vegetable Homestyle Stock, but I had a hell of time finding it—or I should say, finding the vegetable flavor. Of course the beef, chicken, and low-sodium chicken ones seemed to be available, but us vegemites seem to get left out. I eventually found them at Safeway, but only one of the two Safeways in town (Taft and Drake for you locals). Anyway, this stock is ideal for this dish. It’s extremely concentrated; like a paste, so all I had to do was add a little water, and volia! it was ready. 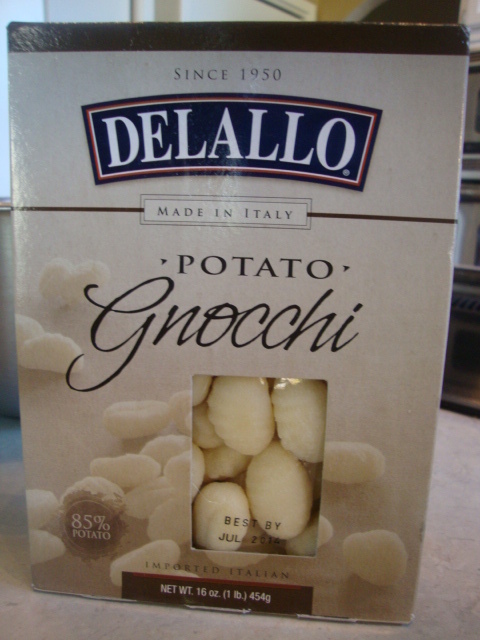 The gnocchi on the other hand, was pretty easy to find . . .
Preheat the oven to 400. Prepare all of the veggies. (When peeling a butternut squash, a decent potato peeler works just fine). Combine all the veggies (except the mushrooms) in a large bowl. Drizzle with just a tiny bit of olive oil and teensy bit of balsamic vinegar. You don’t want the veggies dripping with oil; use enough to just barely coat them. Season with salt and pepper. Transfer to a baking sheet. I used two pans—the vegetables won’t roast evenly if the pan is too crowded; they’ll steam instead. I roasted them for about 30 minutes before adding the mushrooms (that I prepared with some olive oil, balsamic vinegar, salt, and pepper). All ovens run differently and cooking time also depends on how large the vegetables are cut. Roast another 10 minutes or so. A good time to start the water boiling for the gnocchi would be right before you throw the mushrooms in. In a small measuring cup, combine two tubs of the Knorr stock with about 1/2 C of water. Heat in the microwave for about a minute. The gnocchi will only take 3-5 minutes. 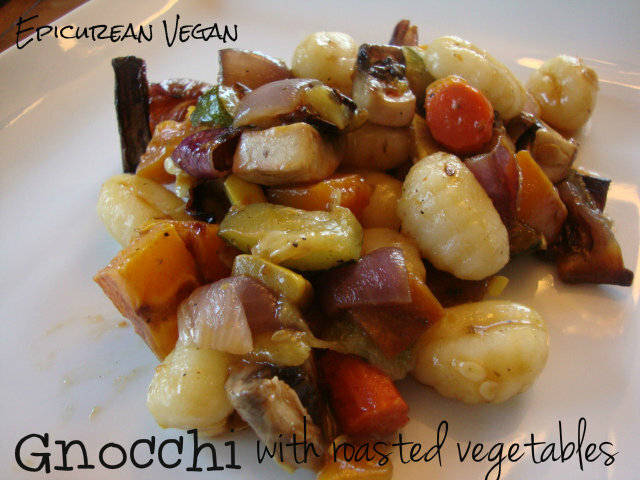 I divided the drained gnocchi in half and added them to the two pans of veggies. I then poured 1/4 C of the stock to each pan and coated everything well. I ended up combining both pans into one . . .
That’s it! 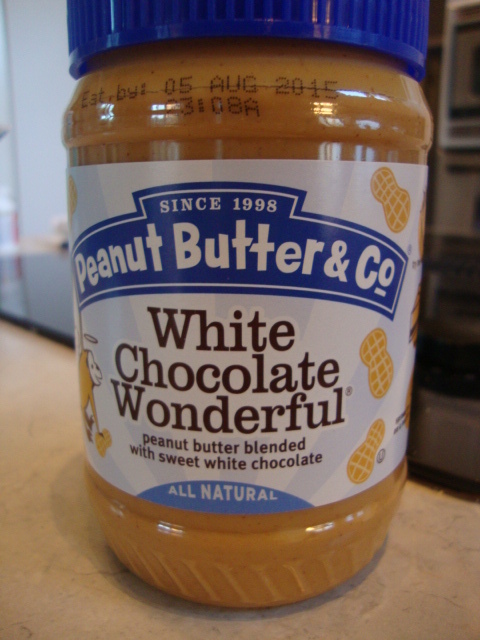 So delicious . . . enjoy! Prepare all of the veggies. (When peeling a butternut squash, a decent potato peeler works just fine). Combine all the veggies (except the mushrooms) in a large bowl. Drizzle with just a tiny bit of olive oil and teensy bit of balsamic vinegar. You don't want the veggies dripping with oil; use enough to just barely coat them. Transfer to a baking sheet. I used two pans---the vegetables won't roast evenly if the pan is too crowded; they'll steam instead. I roasted them for about 30 minutes before adding the mushrooms (that I prepared with some olive oil, balsamic vinegar, salt, and pepper). All ovens run differently and cooking time also depends on how large the vegetables are cut. Roast another 10 minutes or so. A good time to start the water boiling for the gnocchi would be right before you throw the mushrooms in. The gnocchi will only take 3-5 minutes. 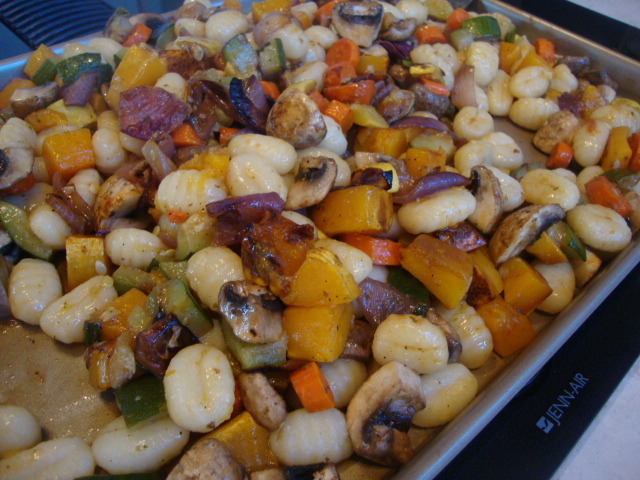 I divided the drained gnocchi in half and added them to the two pans of veggies. I then poured ¼ C of the stock to each pan and coated everything well. I ended up combining both pans into one.